Caabu would like to invite you to a humanitarian briefing on the occupied Palestinian territory with Jamie McGoldrick, the UN's Humanitarian Co-ordinator in the Occupied Palestinian Territory. He will discuss the impact of the recurrent violence and chronic challenges on the people and economy in Gaza, and the coercive environment in the West Bank. This event is open to everyone, but if you would like to support our work, why not consider signing up as a Caabu member. More details can be found here. A video documenting 50 years of our work can also be watched here. You can also follow us on Twitter @Caabu, or find us through our Facebook page. Where: The Wilson Room, Portcullis House (entrance 4 in this map. Please leave 20-30 minutes to get through security). United Nations Secretary-General António Guterres appointed Mr. Jamie McGoldrick as the Deputy Special Coordinator for the Middle East Peace Process. 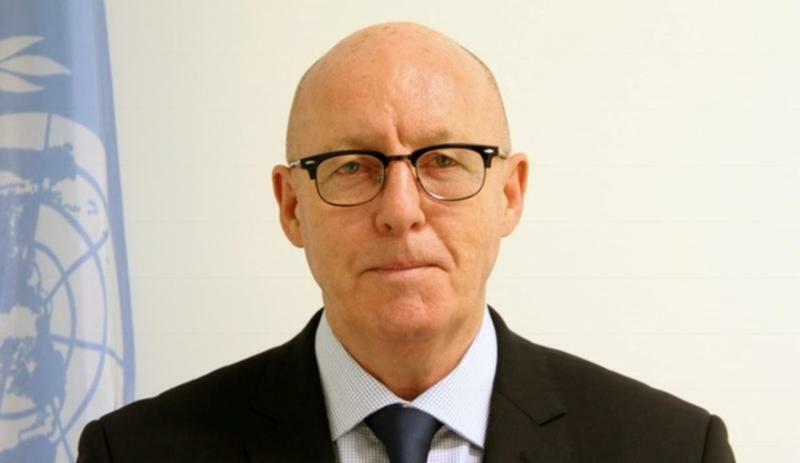 McGoldrick has also served as the United Nations Resident Coordinator and Humanitarian Coordinator for the Occupied Palestinian Territory since February 2018. McGoldrick brings with him extensive experience in humanitarian affairs, international cooperation, economic development and political affairs. Since 2015 he served as United Nations Resident Coordinator, Humanitarian Coordinator and United Nations Development Programme (UNDP) Resident Representative in Yemen. He assumed that position after serving as the Resident and Humanitarian Coordinator, and the UNDP Resident Representative in Nepal since 2013 and Resident Coordinator and Resident Representative of UNDP in Georgia from 2009 to 2013. He was previously a senior manager with the United Nations Office for the Coordination of Humanitarian Affairs, notably as the Chief of the Humanitarian Reform Support Unit (2006-2009), and Section Chief ofthe Middle East, North Africa and Great Lakes Unit (2005-2006). He has also held positions with the International Red Cross movement and non-governmental organisations in a number of countries in Africa and as news producer and researcher with several television production companies in the United Kingdom. McGoldrick holds a master's degree in political science and a bachelor's degree in social sciences, and he has additional qualifications in disaster management, preventive diplomacy and mediation.